The first guest I have the pleasure of speaking with for a Cozy Chat is T.C. 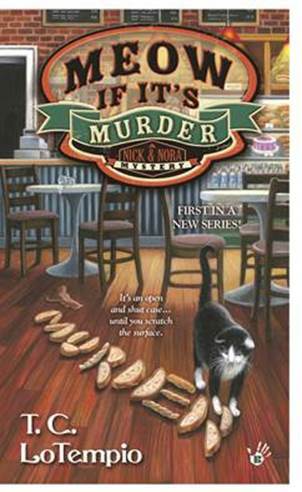 (Toni) LoTiempo about her cat cozy mystery series, Nick and Nora. 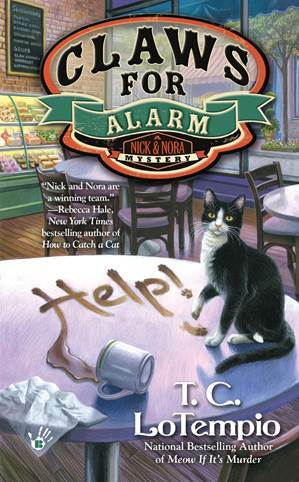 The second book in this series, “Claws for Alarm” is being released on Tuesday, November 3rd. Hi, Toni. Thanks for joining us on Cozy Chat. Have a seat and help yourself to some tea while we talk. Can you tell us a little bit about the Nick and Nora series? What gave you the idea for it? Nick and Nora is a takeoff on the old ‘Thin Man’ series, only instead of a man and a woman, it’s cat and a woman. J Nora Charles is an ex-true crime reporter who returns to her hometown of Cruz, California to take over her deceased mother’s sandwich shop. Along the way she adopts a tuxedo cat that she names Nick (or is it the other way around???). Nick belonged to a PI who is currently MIA, and he and Nora have a flair for solving mysteries in common. I actually got the idea from my ex-supervisor at my day job, who told me I should quit writing about vampires and write a book about my cat. Apparently he was right! Very interesting. I’m especially fond of cat cozies. Do you have any advice to other authors about writing cozies or writing in general? Writing requires a great deal of patience and a thick skin. If you can’t take rejection, best to find another profession. 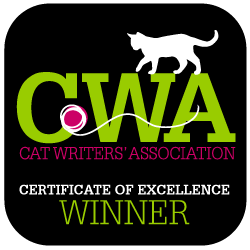 The best way to get published is to keep writing, writing and reading, reading. I agree completely. What are you currently working on? The Next Nick and Nora, and the first book in a new series. After “Claws for Alarm,” when will the 3rd Nick and Nora be released? Nick and Nora #3 will be out December 2016. Nora gets involved searching for a woman’s missing niece, and is still trying to locate Nick’s former human, missing PI Nick Atkins. Yes – I actually started out writing horror, and had a few novels published by a small press (they are currently out of print, and I have the rights back). I’ve self published a few paranormal suspense novel that were moderately successful. Can you tell me how you got started in writing? I’ve been writing on and off since I was ten years old. Same here. Many writers begin at an early age, but, of course publishing comes later. What are your hobbies besides writing? I used to bowl, but back problems sidelined that. I love reading, and I love playing with my three cats. Seems we have a lot in common, Toni. I love to read and play with my two cats, too. 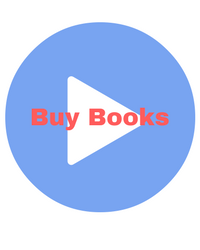 Is there anything else you’d like readers of this blog to know about you and/or your books? 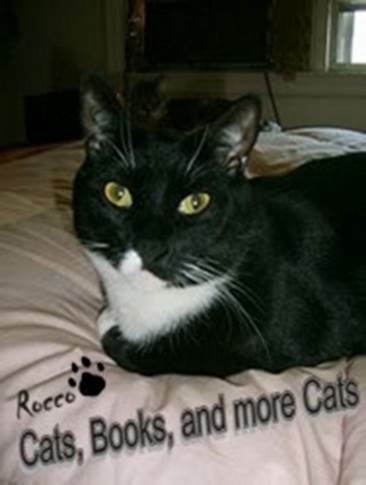 ROCCO has a blog, www.catsbooksmorecats.blogspot.com, where we interview authors and have giveaways twice a month at least. ROCCO also reviews cozies for Night Owl, and I’m the suspense columnist! We also do fundraising for the charity co-founded by Nathan Fillion of Castle fame, Kids Need to Read, and have a charity auction every summer. Great info. I will check out the blog. 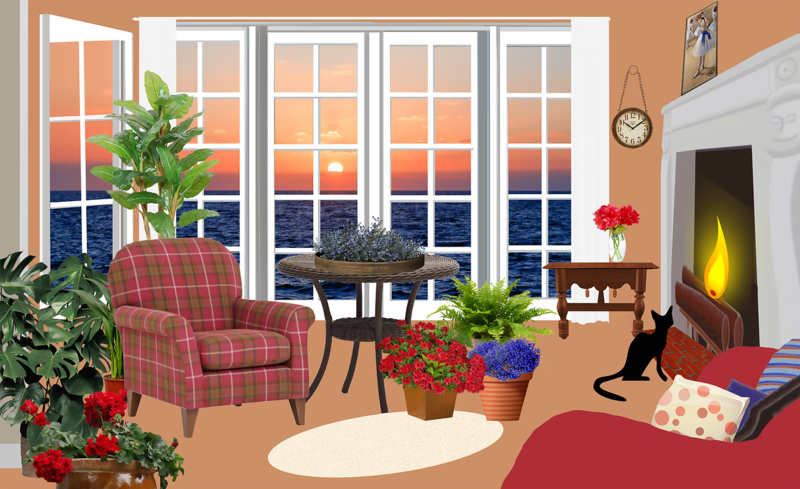 Thank you so much for joining us on Cozy Chat today, and good luck with your Nick and Nora mysteries and other books and series.